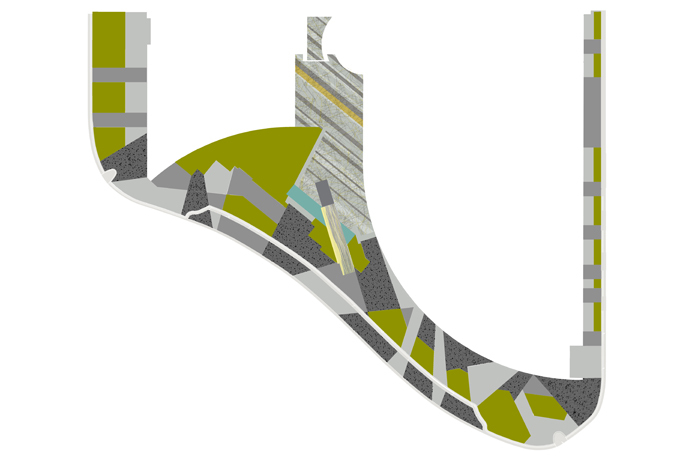 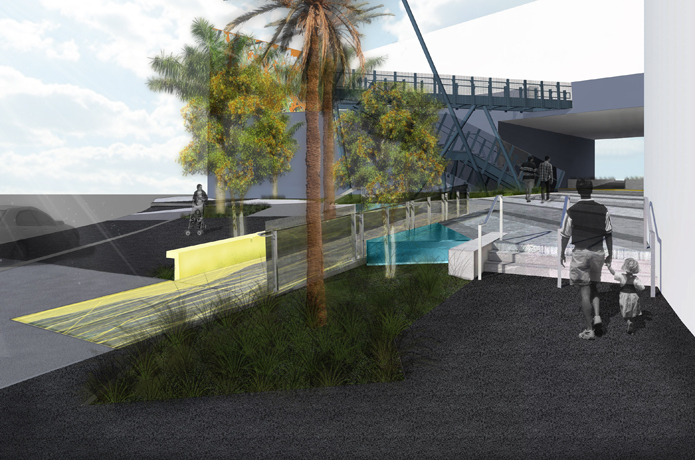 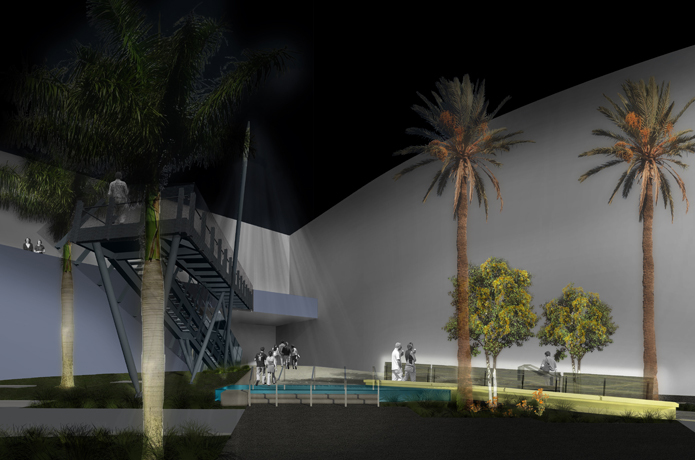 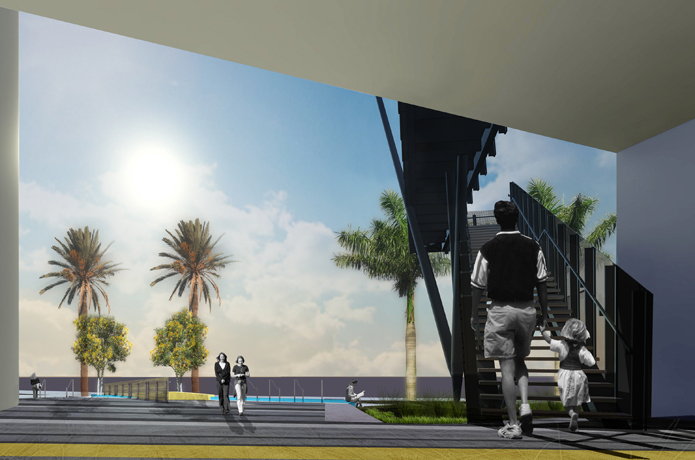 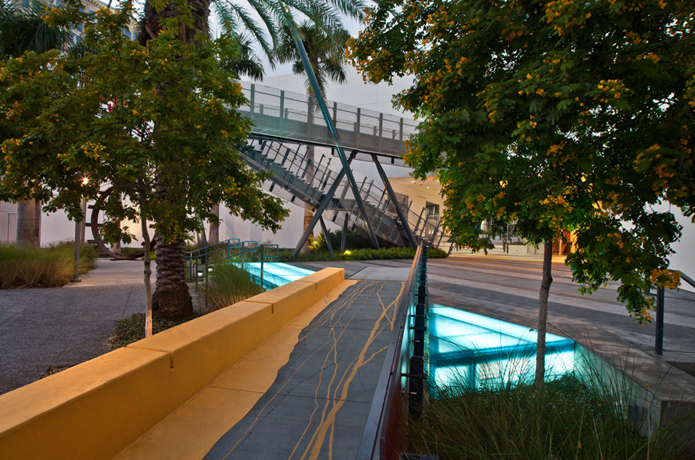 The Museum of Art Plaza, Threshold, is conceived as a site specific large scale artwork that incorporates concepts of water and surface, inscription and materiality through the lens of the natural environment of Florida. 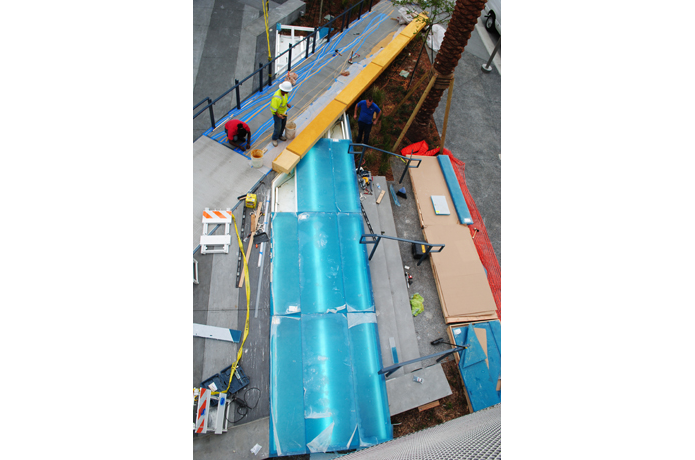 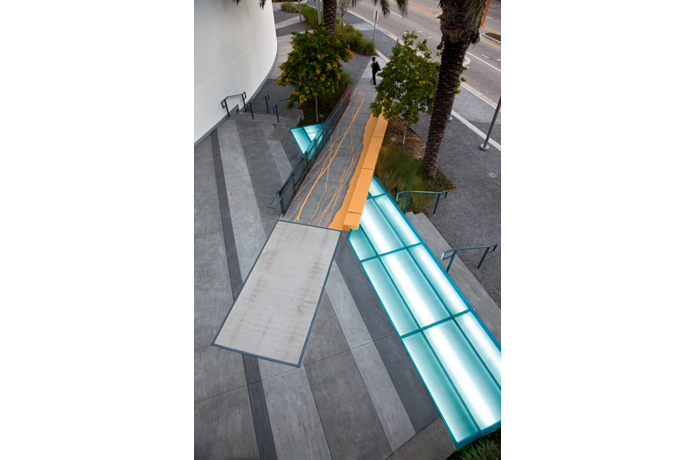 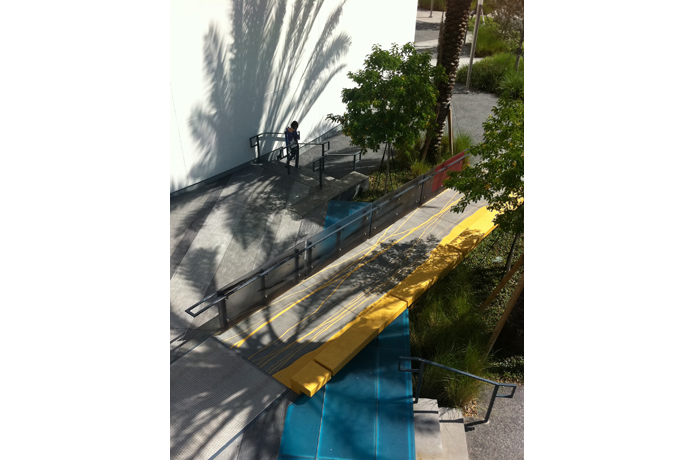 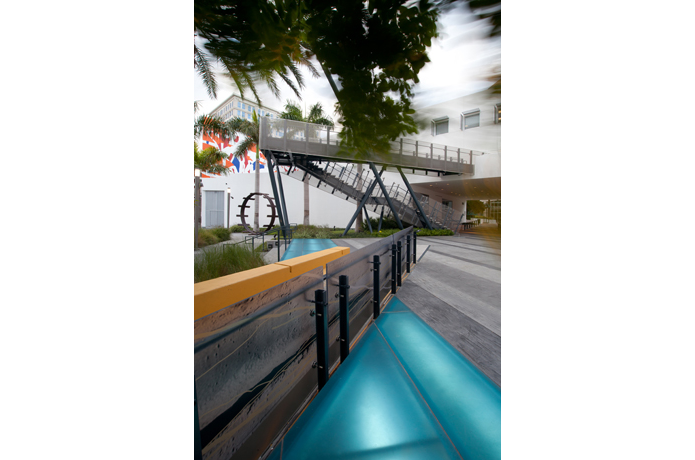 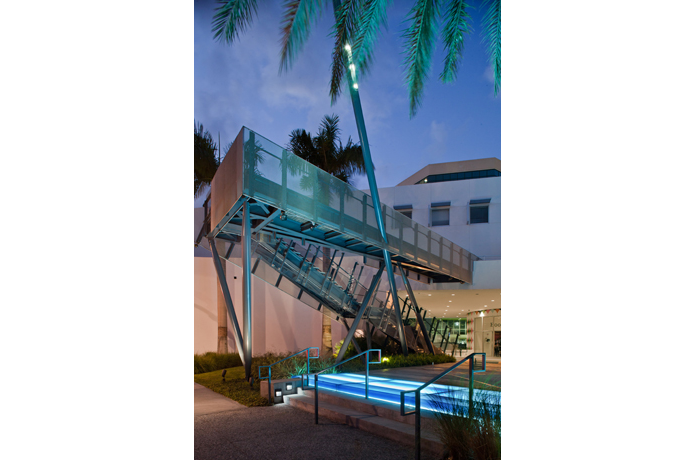 Located at the Museum Art and onto Las Olas Boulevard, it reinforces the urban edge and creatively resolves accessibility issues with a large sandblasted drawing and bench, Eco resin photo montage and lit blue 7’ x 44’ box. 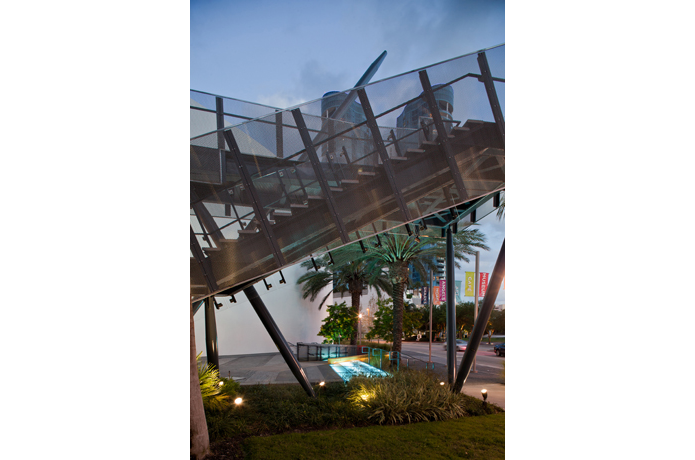 The two story steel, stainless steel and poly carbonate panel sculptural Bridge_Stair is conceived as a viewing platform and shadow play on the existing museum. 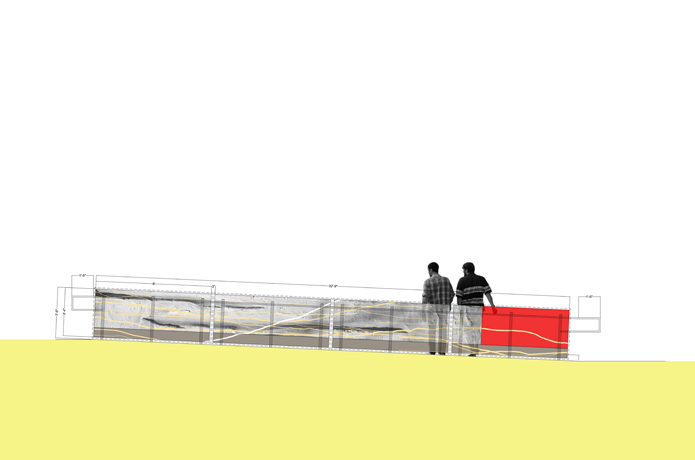 The ArtPlaza also includes 5000SF of native grasses, five times the original area.